This article will help you understand what product details are imported from Shopify and what information is updated back to Shopify from Orderhive. 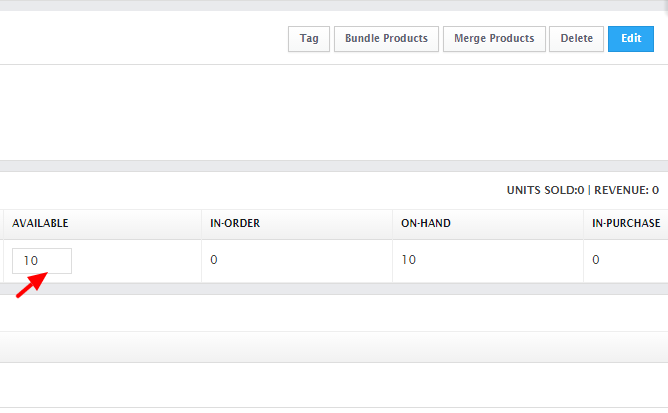 Once integrated, Orderhive will import all your products and their variants and populate them on the Inventory page. The above details are also synced for variants. If in case Orderhive doesn’t receive the title of the variant, it will create a title in this format: Parent product title_Red_M. This title contains the parent product’s name and the attributes of the variants. All the imported products will get populated on the Inventory page. 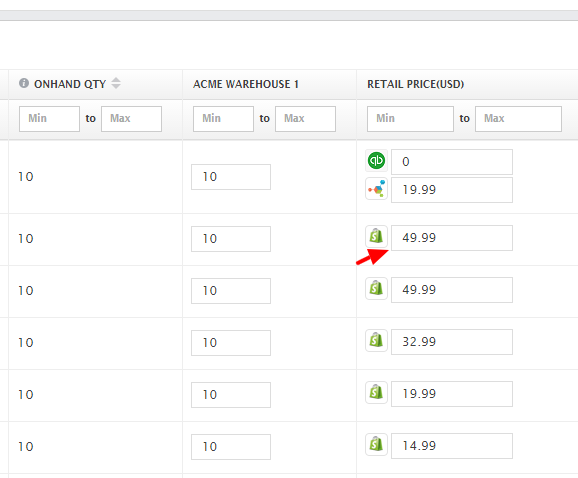 The product quantity imported from Shopify is saved under Available stock field in Orderhive. All the products will be part of the warehouse you selected during the integration. Whenever you change the stock in Orderhive or a new sales order drops on Shopify or on any integrated channel, Orderhive will automatically push new stock levels to Shopify in real-time. From the Inventory page, go to the product whose stock needs to be adjusted. Enter the new stock in the Warehouse QTY field and click outside the box to save. This action will trigger Orderhive to update the stock automatically to Shopify in real-time. You can also edit the available stock from the product detail page. Important Note: Orderhive will automatically manage inventory for products only if you have selected the Inventory Policy in Shopify as "Shopify tracks this product's inventory". Along with the available stock, you can even change the retail price of a Shopify product . The new price will get updated to Shopify in real-time. You can edit the price from the inventory page or the product detail page. Enter the new price in the Retail Price field and click outside the box to save. This will trigger Orderhive to update the price to Shopify automatically. 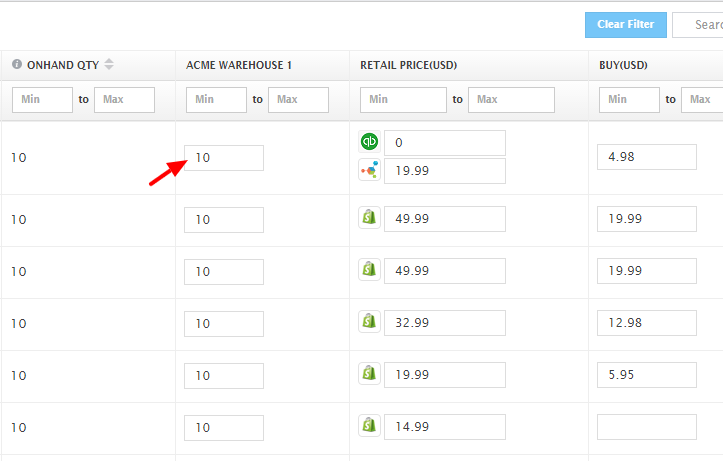 After integration, any new products added in your Shopify store will import in Orderhive automatically. If you add variants in Shopify to a simple product after integration, Orderhive will import only if you use Instant Product Sync button available on Manage Integrations page.